Like nearly everything, the recording of music has become more sophisticated. Currently a competitive artist, record label, or producer will record at the studio(s) of their choice, mix the recording, and then deliver the stereo (2-TRK) analog (reel to reel) or digital master to a dedicated, hi-end mastering suite for additional processing, polishing, editing, balancing, and other professional touches. These enhancements, if done on a professional level, make a dramatic difference in the quality, impact, image, and competitiveness of the final commercial release. Using "tools" such as equalization, multi-band compression, expansion, dithering, digital sound "platforms", limiting, effects, analog "warming", and digital editing, the recording is customized with the proper amount of increased volume (to "jump" off of the CD or radio station), more depth, width, detail, and robustness. The recording will have consistent frequency response from lows to highs and volume consistency from song to song, and will translate well from small to large playback systems. True, professional quality mastering is not just "Burning a CD". Why is Mastering important in today's competitive market? As the recording industry grows into this new millennium, each year brings more artists, labels, studios, producers, and managers etc. into the commercial music arena. This propels the industry, but also creates an increasingly competitive environment. The "core" people, whose opinion can affect the success of the recording artist, more and more are using the "science" as a "filter" for the art. In other words, if the sonic quality is not at a high level, the performance or artist probably will be perceived negatively or not even considered by labels, radio programers, record sellers, and record buyers. Having a recording professionally mastered increases the probabilities of success immeasurably at every level, no matter if the recording was done in a home studio, live, or in a "state of the art" professional recording studio. What should I expect from professional mastering? The most important criteria is: the recording should sound undeniably better than before it was mastered. Unfortunately, there are many places that solicit "mastering" that actually degrade the recording as they "burn a CD", and charge for mastering while lowering the sonic quality and integrity. Certainly the art (music, arrangement, performance, etc.) is subjective, but the "science" has defined "envelopes" that are only subjective within certain tolerances. In other words, the mastering engineer should use the right stuff to make each unique recording sound better; better being defined as improved sonic quality that is also consistent with the style or attitude of the art. Because each recording is unique in its origin and each has unique requirements and sonic details, mastering is usually billed on an hourly basis. The hourly rate for professional hi-end mastering ranges from $60 to $350 per hour or more depending on the facility and location. At Masterpiece Mastering the quality, equipment, and engineer are world class, but the rate per hour is still as little as $100 per hour. The average album of 45 to 60 minutes usually takes 6-8 hours of mastering time. Masterpiece Mastering is the only mastering facility in the region that can compete with or surpass the quality of the main recording centers in L.A., Nashville and New York. In addition, by creating the CD "mother" at the mastering studio, a savings of up to $250 is realized by delivering a properly mastered CD to the pressing plant. This fact makes professional mastering the most cost effective step in creating a high quality product. What's better - Analog or Digital? It would be accurate to state that it is universally agreed that there are desirable characteristics to both formats, therefore the best results would be to use the best of both formats to maximize the results. In general, analog exhibits characteristics of warmth, accuracy of detail, smooth frequency response, and "punch". Digital has characteristics of low residual noise, superior editing capabilities, unlimited programs and platforms of artificial intelligence and, of course, is the appropriate interface to create the CD "mother". Masterpiece Mastering has the best of both worlds - analog and digital. What's the most important - the Mastering equipment or the Mastering engineer? Obviously, they are both critical to excellent mastering. Why not Master at the recording studio? Look at the credits on virtually any major label CD. You'll notice that, nearly without exception, the CD has been mastered at a specialized mastering studio independent from where it was recorded. A different mastering engineer is used from the engineer(s) that performed the recording. This formula increases the probability of success for the CD and all who can benefit from it. A different set of ears, a highly-specialized mastering facility, another expert perspective, and consistent quality control make this step of professional mastering a requirement to achieve or maintain credibility in the industry. Most professional recording studios advocate professional hi-end mastering as they realize the enhancements to the end product reflect favorably on their facility. The record sounds highly competitive and it was recorded at their recording studio. This "team effort" is the formula for success. What about graphics and manufacturing? The mastering studio can consult, recommend, or sometimes handle these important aspects of the manufacturing process. The "mastering" done at graphics and manufacturing companies is, by necessity, "assembly line" conversion of what is sent to them and does not compare with dedicated professional mastering. They generally advocate outside professional mastering as they realize this makes for a better product and a satisfied client. A quality manufacturer would prefer a satisfied client than trying to make a few bucks with in-house marginal mastering. Consulting with the mastering facility can be done long before the recording is completed. Obtaining information and decisions about packaging and manufacturing should be made way in advance of the date the final product is required. What format is best to deliver your mix to the Mastering studio? 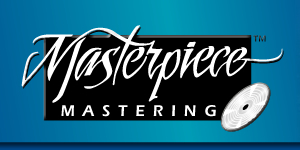 Masterpiece Mastering can accept 24 bit DAT, 16 bit DAT, 1/4 inch reel to reel, CD-R, and data files, cassette, or direct output from computer work stations. Converting and importing data files (Wav, Aiff, SDII, etc.) will take more time than the other formats. Arrangements can be made to send data files ahead of the mastering session date scheduled, so as to be ready-to-go on the mastering date. What company should I trust to Master my project? Masterpiece Mastering P.O. 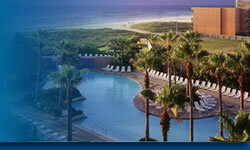 Box 2909,South Padre Island,TX 78597--2909, contact: Billy Stull. Please feel free to call and discuss any specifics about the mastering studio, equipment, philosophy, engineer's background, satisfied clients, or most importantly - the specifics of your next project which needs professional mastering. I'm not completely satisfied with my mix. Can you change the mix in mastering? Yes! Absolutely! But there are limitations. I can pull the vocals, bass, cymbals, guitars, horns, solo's etc. in or out, but only to a certain degree. However, after Masterpiece Mastering, the enhanced resolution and detail enables you to hear each element better and the layers are tighter but also have more clarity. Many times minor problems will disappear in the normal mastering processes. My goal usually is to make the recording consistent in the major areas such as vocals, bass, and apparent volume. I will make these adjustments as a matter of course. Some of the mix elements are more problematic than others, such as backup vocals occurring at the same time as the lead vocal. It is difficult to separate elements in the same frequency range (to make them more or less prominent), but I have achieved some amazing results and even some miracles. It would be extremely helpful, if the client would make a detailed list of what bothers him/her on a song-by-song basis, indicating the time in the song when the problem occurs (unless of course it occurs in the whole song). Also, be aware that these types of sonic adjustments will take more time and therefore more expense, but we are all for anything to make your/our product better. What should I do (or not do) in mixing to optimize the final product? In the mixing stage you are primarily setting the tone and relationships of the mix elements. The best mix usually is balanced and consistent from lows to highs. Don't try to normalize, over-compress, or run through a finalizer or harmonic enhancer such as a BBE or aural exciter. Watch for splattered or sibilant "S's" or hi-end elements. Leave the final enhancements to me at mastering. Over-processing or trying to sound mastered at the studio usually creates problems that are difficult or impossible to correct. Also, don't "slam" the recording. About -2 or- 3 dB is fine. We will carefully add the proper amount of final gain. What will I get as the final master? The first Master (CDR) may be considered the final or a reference master. When time and budget allows, we encourage taking the reference Master and playing it on familiar and various systems. If additional "tweaks" are advocated, we can make adjustments, re-sequence, or change details before the final Master is created. This takes more time and expense, but insures that the record is the best it can be (a Masterpiece) before it is released to the world forever. If time and/or budget are short, the first master CDR may be used for manufacturing, but extreme care should be taken with it and the fewer the plays the better (after an approval listen) to insure digital errors are not created from handling or playing the Master. What are some other tips? Determine the sequence before the mastering session. If you would like my input about the sequencing, we can discuss it after I have heard all of the material, but have your first choice decided. We can string the songs together at one point in the mastering process very quickly, but after editing and "time code automation tweaks" it can be time consuming to re-sequence. Plan ahead! 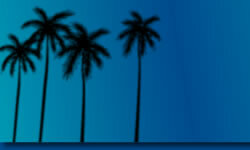 Allow plenty of time for scheduling art design, living with the master, and production schedules. Rushed schedules create unnecessary imperfections. Let Masterpiece Mastering master your project. You will be glad you did. You are renting decades of experience and high-dollar specialized mastering equipment for a relatively small cost. Your CD will sound dramatically better. The music marketplace is highly competitive. Masterpiece Mastering provides an aggressive cutting edge to the "science" to level the playing field so that your "art" can have an opportunity to compete. Mastering is a very linear science that, if used properly, enhances musical art. And above all, release the best representation of your talent and art you possibly can. You never get a second chance to make a first impression.